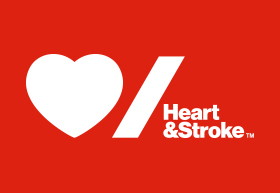 The Heart and Stroke Foundation | PEI is a non-profit health charity dedicated to reducing death and disability from heart disease and stroke among Islanders. We are a volunteer-driven organization. Volunteers help us fulfill our mission by participating at every level of our activities. Volunteers guide the long-term planning and direction of the Foundation through their membership on our Board of Directors. They help raise funds by participating in our Person-to-Person (P2P) campaign during Heart Month and other events. They deliver our health promotion programs, including CPR courses, and others. Volunteers are our most valued resource, the heart of our organization, and number more than 130,000 strong across Canada.